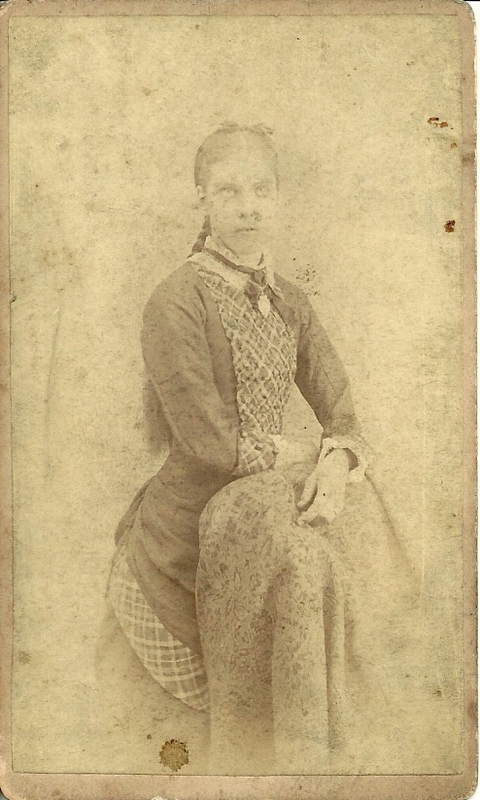 Faded Carte de Visite of a young woman identified on reverse as Alta Stewart of Hanoverton, Ohio, with an accompanying date of November 21, 1883. 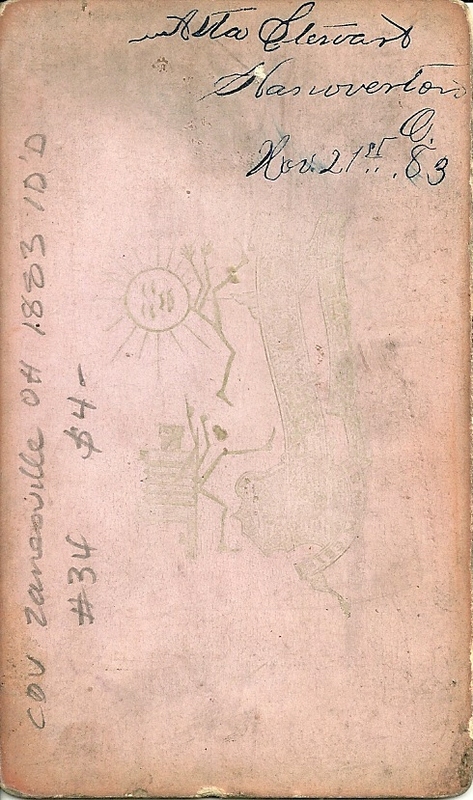 The previous owner of this CDV noted in pencil that the card has a Zanesville, Ohio connection. 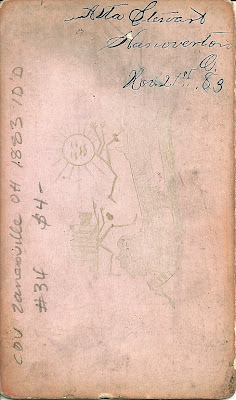 Thanks to an ultra-violet flashlight, I can see that the CDV was produced by the Sedgwick Studio of Main Street, Zanesville. 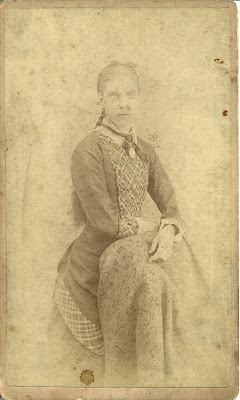 If you have any insights into the further identity of the Alta Stewart pictured above, please leave a comment or contact me directly. I think I'm going to have to get myself one of those UV flashlights you mentioned - a very handy tool.